Editor’s Note: Image courtesy of Chris Alvarez-C. Collection, used with permission. I came across this picture a couple of months ago while browsing the internet. 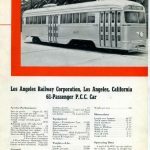 These were 2 of 22 that went to Chile and were owned by the “Ferrocarril de Tocopilla al Toco” of Maria Helena Chile, about 1510 km (1000 miles) north of Santiago. The line served the Anglo-Chilean Nitrate Company which was a 1067mm gauge railway originally constructed in 1890. 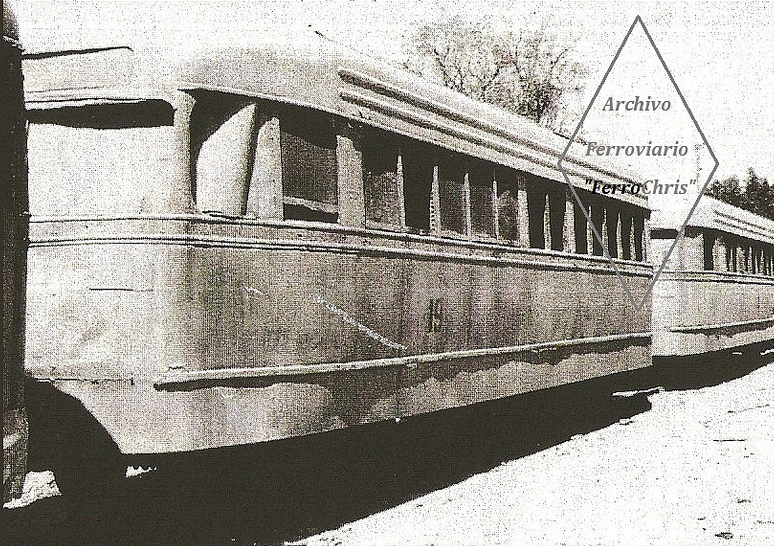 Fitted with pantographs, the cars carried workers between the various mines and residence camps in the María Elena-Pedro de Valdivia area, on top of the mountain, until about 1975. 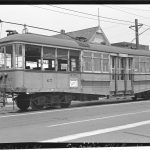 For a few years, the cars ran under their own power, but in later years, were hauled as coaches. In this photo, these two wartime P-2 types seem to be near the end of their existence on a scrap track, but it is hard to tell. Note the car in the foreground is still wearing its LATL paint, while the car in the background wears LAMTA green. For unknown reasons, they have acquired wheel skirts, such as those worn by the PE PCCs. The cars are gone now, but the railway is presently owned by the Sociedad Químicas y Minera de Chile, a.k.a. Soquimich.